Arborists specialize in the cultivation, study, and care of trees, shrubs, vines, and other perennial woody plants. They are educated about the needs of trees and are trained to provide with care to promote healthy plants and trees. Why would I need an arborist? What is the most common reason someone would need to call an arborist? It could be discolored leaves, a dead branch, or maybe the entire tree has been dropping leaves. Sometimes it is a minor problem that is easily explained and corrected, whereas, other times the problem is more complex, often with several underlying causes and a remedy that requires multiple treatments over an extended period of time. Unfortunately, there are instances in which the problem has gone undetected for so long that the tree cannot be helped, then your only option is removal. If a certified Arbor Care, Inc. arborist had been called earlier, perhaps the tree could have been saved. 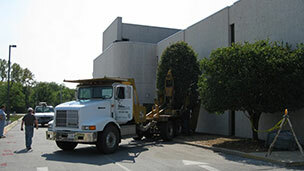 Trees and shrubs represent a considerable long-term investment in the landscape of your home or business. With the appropriate care, these plants can provide beautiful surroundings and many other benefits for decades to come. Arbor Care’s arborists have the experience and training to detect many potential tree and shrub problems before they become threatening or hazardous to the life of the plant. What is a yard health plan? One of our arborists will do a site visit and inventory your site to determine what type of plants are there and create a comprehensive, individually tailored plan for your site. This can include anything from applying fungicides to prevent apple scab to adjusting the available nutrients that any particular tree or plant requires. Sometimes preventative treatments are advised, such as emerald ash bore control. Properly maintained trees add a huge value to any particular site. Not just financially but also for the intangibles they provide, such as peace of mind, pleasing view, & financial savings by keeping your building cooler in the summer. Let Arbor Care help you increase your financial and emotional well being today! The intention of the programs are to maintain or improve your landscape’s appearance and vitality. We use only the most cost-effective and environmentally safe practices and treatments available to the industry. The programs entail monitoring, implementing preventative treatments, and working closely with the property owner to create the best yard or site health plan for all involved.